If you were able to join us last year, thanks for coming! See our 2018 Gallery. If not, plan to attend in 2019. SkyFest is Memorial Day weekend at Fort Stevenson park in North Dakota. Please consider sponsoring SkyFest 2019. 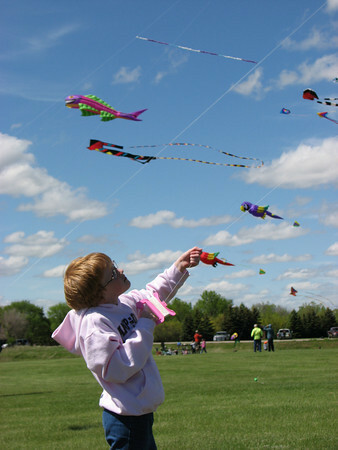 Sky Fest over Fort Stevenson is an annual North Dakota kite festival for all ages. The festival is held over Memorial Day weekend each year at a favorite destination for kite flyers -- Fort Stevenson State Park. Fly your own kite. Build your own kite! Bring your lawn chair and spend the day. 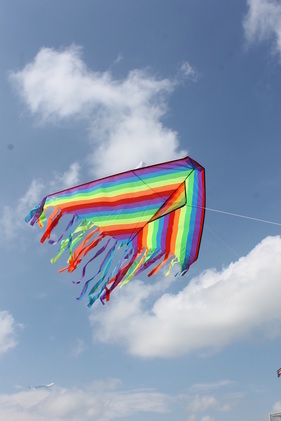 See kites of all shapes and sizes being flown, including stunt kites. Special activities are planned for each day. Throughout the festival several professional kite fliers will decorate the skies with some of the largest kites currently in production. SkyFest Over Fort Stevenson isn’t merely a kite-flying exhibition. Those who attend are welcome to help decorate the sky by flying their own kites. Admission to SkyFest is free! Normal park admission fees apply. Daily entrance fee (all parks): $7. Annual vehicle entrance permit: $35. ​Annual permit-ND residents 65 & older: $28. 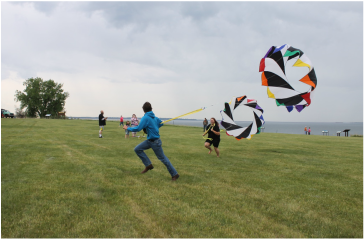 The following was the schedule of activities for our annual North Dakota kite festival. Note: ​In the case of inclement weather, activities may be cancelled or rescheduled. The public is welcome to fly their kites on all days. 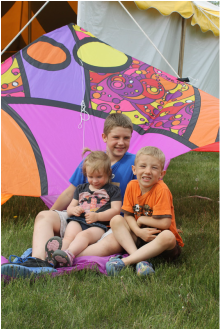 1:00pm: Free kite making for kids! 2pm: Photos with Wally the Walleye! Take your photo in front of a giant kite with Wally the Walleye or have your photo taken and emailed to you. If you have a red-white-blue kite, those will dominate the sky. All colored kites are welcome as well. Candy drop after Bol races! Come out and enjoy what we consider to be some of the best kite makers and enthusiasts in the world. Fun for the entire family!